One can recognize MeisterSinger watches at first glance. Not only because of their single hour hand and the continuous double-digit hour markers. Because they are all bound to the same aesthetic ideal, they also resemble one another in the carefully selected typography – and many models have cases that are sturdy, yet have a gently rounded silhouette. 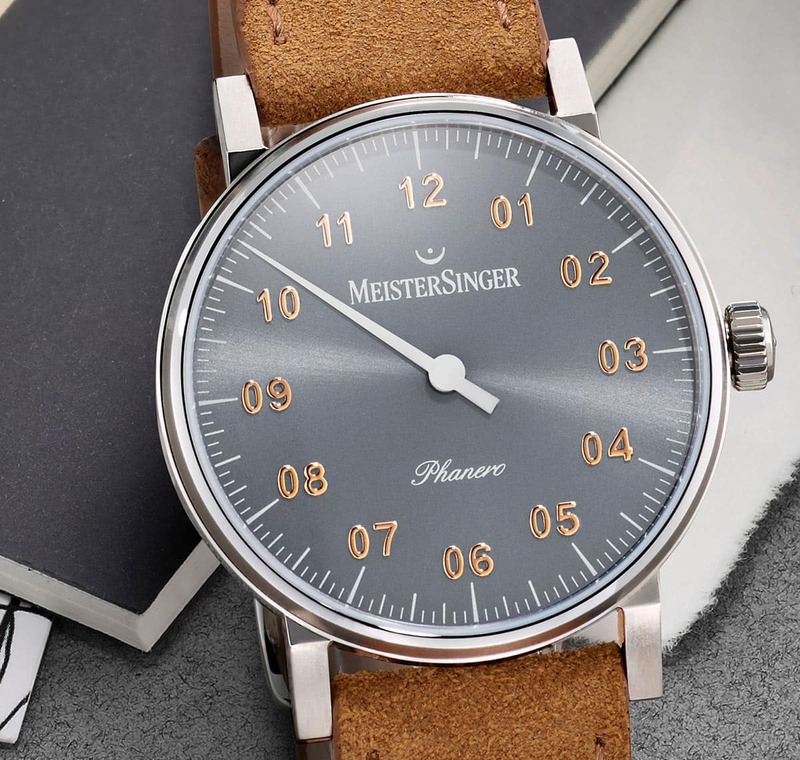 The Phanero is also a typical MeisterSinger, and yet quite different. It is much smaller and more angular than the brand’s other lines – and particularly expressive in its color intensity. 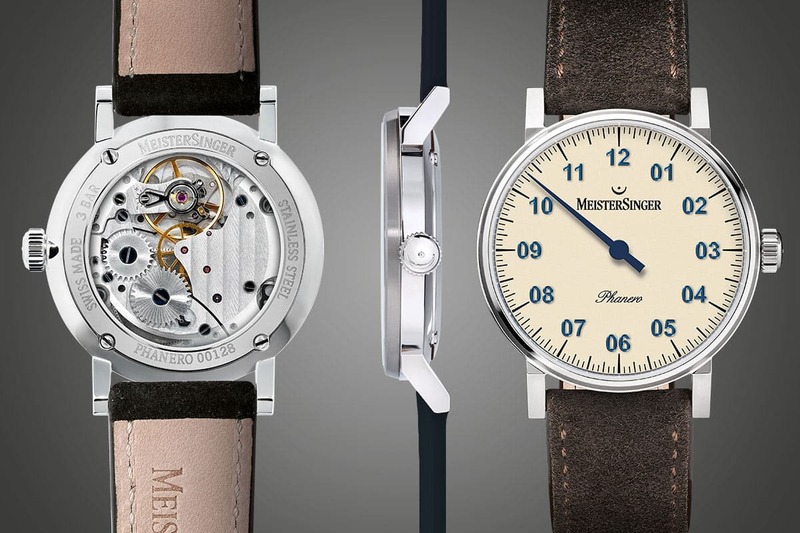 MeisterSinger has gone down new paths, especially in designing the stainless steel case. With a diameter of 35 millimeters and a height of 7.5 millimeters, the Phanero is by far the most slender model offered by the company. But it doesn’t appear delicate, and certainly not cute – this is ensured by the straight lugs and the edging of the case. This features alternating matt and polished surfaces, accentuating its form from every perspective. The high-quality Swiss hand-wound movement that powers the Phanero can be observed through the 4-screwed exhibition back. The name of the watch is derived from an ancient Greek word – “phanerós” means “visible” – referring to the remarkable design of the new model, despite its small size. The Phanero is visible – and well worth seeing. The five color variations that the Phanero comes in are particularly expressive. The combination of an ivory-colored dial with a blued hour hand and similarly colored hour applications is a MeisterSinger classic. A striking effect is created by the bright hour hand and corresponding numeral applications on fine sunburst dials in sapphire blue, anthracite and Rensing-Green. 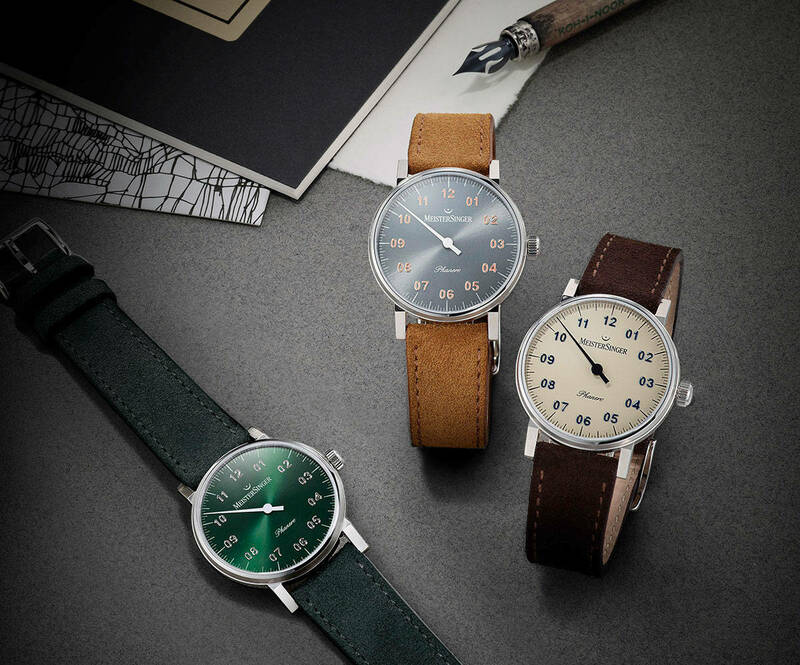 The Phanero makes an even more expressive impression with the colored armbands that have been selected for the new line, allowing for unusual combinations – and for a highly individualized MeisterSinger. Putting one on becomes its own little ritual.